A lawn littered with tulips, daffodils, crocus and hyacinth is always a surprise, just as spring arrives, so do the blooms. Planting your lawn with flower bulbs is a lot different than planting them in a designated garden bed, outlined with a border and in straight rows that we create. Letting your lawn become the garden requires a sense of freedom in design, letting things grow where they may in a part controlled and part random manner. If you want to cover your lawn with bulbs so that they flower at the beginning of spring, use these tips to help you choose the best bulbs, design the project and then plant all the bulbs in the lawn. Even if you have a lot of lawn, there are certain types of lawn, or areas of the lawn where planted bulbs will not do well. Any area that sees a high amount of traffic should be avoided, because the bulbs will become compacted and never be able to bloom. A lawn that receives very little water, or too much care are also not the best options. If you have a lawn that fits into any of these problems, but still want to plant bulbs in the lawn, you need to do so in areas that you specifically designate for bulb planting and enrich the soil. Because the bulbs are going to be planted in turf and not provided as much oversight as bulbs that would be planted in a well tilled garden, there are some things that you need to provide before and after planting. Make sure that the soil you are planting in is well drained and not soggy. The lawn area being planted needs to be in full to partial sun, depending on the needs of the bulbs you have chosen. Watering must take place, just like you would water if the bulbs were placed in a bed. Finally, in addition to raising the sod so that you can plant the bulbs, you need to make sure that the ground is not compacted and there is little to no foot traffic in that area. Planting bulbs in the lawn requires more consideration than choosing bulbs for a bed, but it also allows for a wider variety of bulbs or uniformity, depending on which look you want. 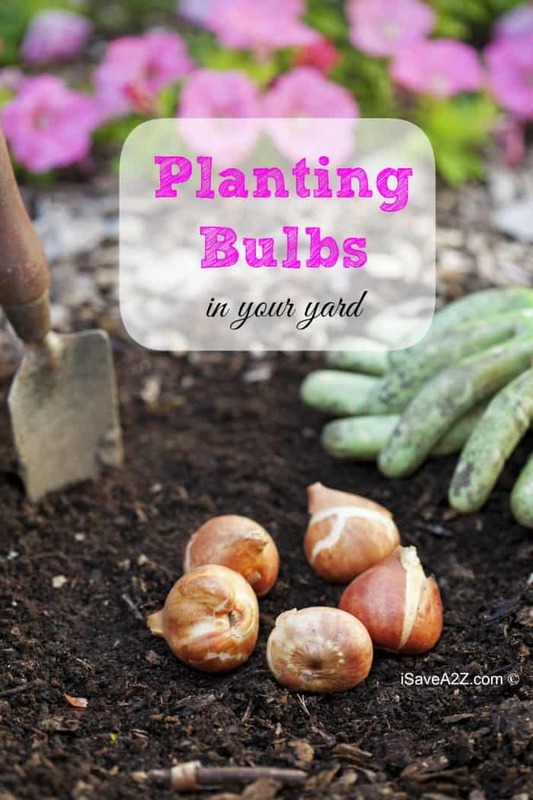 The best types of bulbs to plant in the lawn include those that are found blooming naturally, in fields and forested areas because they are able to push through ground other than garden beds without a problem. Dwarf irises, snowdrops, crocus and daffodils are all great choices and come in enough varieties that you can pick out the sturdiest options any nursery offers. Hyacinth and wood anemone are two other great options that can also work in lawn planting, but they definitely need to be in areas that are not at all compacted and get zero foot traffic. Planting bulbs in the lawn requires an entirely different method and way of planting. You don’t have to space things out the same way, and the bulbs will need to be planted deeper than they would in a regular bed. It is important that you peel back the sod on your lawn in a way that won’t kill it. The best way is to rent a sod machine, and then peel back rows of sod where you want to plant your bulbs. Dig down four times the size of each bulb and plant in clusters. Another method is to use a shovel or spade to create smaller circles into the sod, pulling up grass and roots with at least two to three inches of soil. Loosen the soil that is exposed and plant bulbs before replacing the sod. Right after planting you need to make sure the lawn stays watered so that the bulbs are able to store the food they need before blooming. Once they begin springing up, allow lawn and bulbs to grow unchecked. Don’t mow your lawn until the leaves begin dying back, rather than right after the blooms fade. By allowing with leaves to continue growing you are giving the bulbs the time they need to manufacture food that can be stored for reblooming next year– and you won’t have to replant any bulbs in the lawn again.